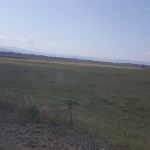 Menstruation is an integral and normal part of human life. Menstrual hygiene is fundamental to the dignity and wellbeing of girls and women. It is an important part of the basic hygiene, sanitation and reproductive health services to which every girl has a right. During the implementation of the HER CHOICE programme in Uganda, it has become clear that menstruations in many local communities are often viewed as a taboo, surrounded by negative culture, myths and attitudes, including the idea that menstruating girls are ‘contaminated’, ‘dirty’ and ‘impure’. Even at school many girls suffer both psychologically – because of the menstrual stigma – and physically – because of lack of appropriate facilities and services. They feel there is none helping them cope in a healthy and open way with their menstrual periods and the changes in their bodies. School absenteeism: girls rather stay at home when menstruating because of lack of privacy for changing menstrual materials at school, lack of girls-friendly facilities, etc. During peer learning sessions, HER CHOICE young educators have stressed how menstrual stigma, a leading cause of high school dropout among girls, contributes to child marriage too: if a girl is not in school for some time, there are higher chances that she will be married early. To create awareness on menstruation and its effects on girls’ education, and to sensitize communities to break the menstrual stigma, HER CHOICE partner The Hunger Project Uganda, Girls Not Brides Uganda and Raising Teenagers Uganda joined forces and organized a hike of 2 days on the Wanale Mountain – Mbale Distric – in the occasion of the International Youth Day. 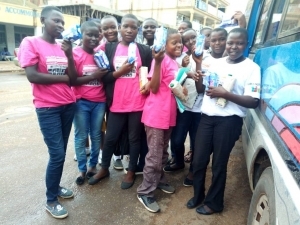 20 HER CHOICE peer educators aged 14 to 16 from Mulasi Seed Secondary School – Busoba sub county Mbale District – joined with great enthusiasm. At the end of the hike, all of them were trained on menstrual hygiene and were provided each with 2 years stock of reusable sanitary pads. 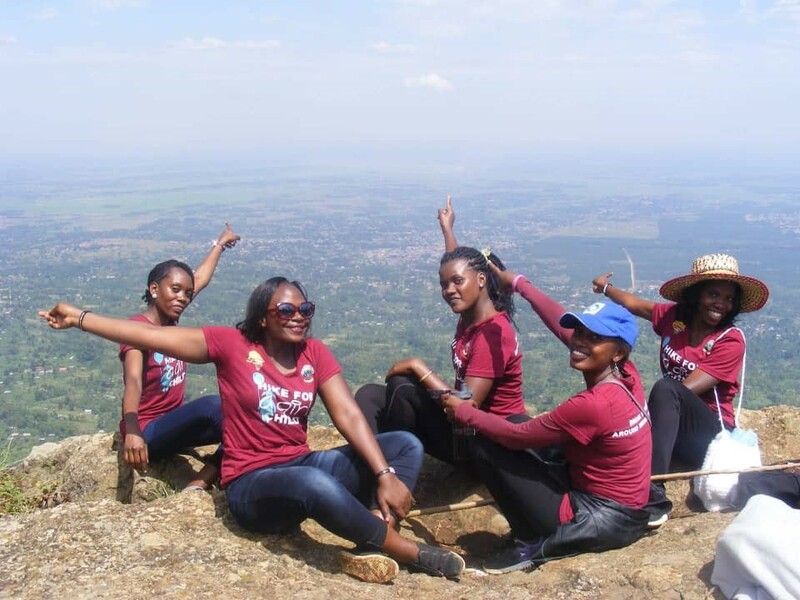 “The hike was a success – said Hope Natukunda, Executive Director Raising Teenagers Uganda- We had people from different parts of the country come together with a lot energy, and saw that despite it was hard, everybody was motivated to reach the peak, especially the young Her Choice peer educators. We couldn’t have had adults taking on this action for the girls, and leave girls seated at home. 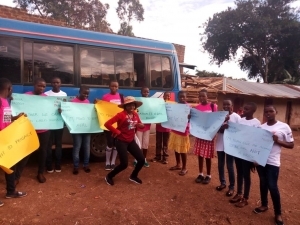 These girls are the change makers we need: they will go and talk about their experience to other girls, and their message, knowledge and resilience will cascade down… Another important element of the hike action was engaging with community members about menstruation. Men went out of their comfort zone talking about such topic with these young girls. To me, already initiating such a dialogue was a big part of breaking the menstrual stigma“. The hike was a fantastic experience, and it showed one more time that there is nothing girls cannot accomplish!